Local resident Michelle Jankovic was successfully nominated to receive a prestigious inaugural La Trobe Community Award at Saturday’s award ceremony. 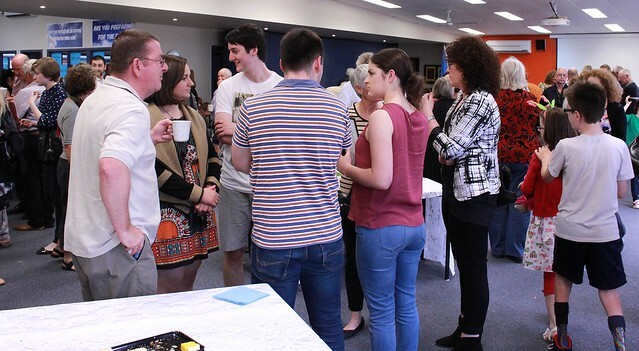 Federal Member for La Trobe, Jason Wood MP acknowledged the efforts of dedicated individuals within La Trobe who volunteered within the local community. 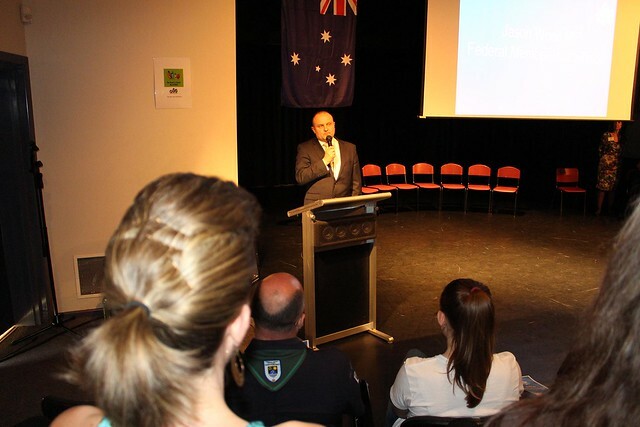 Jason Wood MP proudly acknowledged and thanked individual recipients from a wide range of community groups. 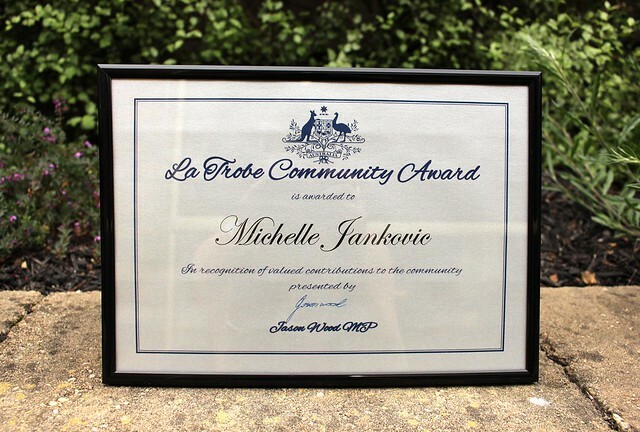 Michelle Jankovic is a great example of what it means to support your community to us in La Trobe. Always willing to help out, and passionately pursuing the cause of those who need it. She has volunteered for the Royal Children’s Hospital, has been the guest speaker at the ‘Variety’ gala, is a member of the City of Casey’s ‘Access and Inclusion Advisory Committee’, and is a member and fundraiser for the ‘Touched by Olivia’ Foundation and the City Of Casey’s all-inclusive play space committee. 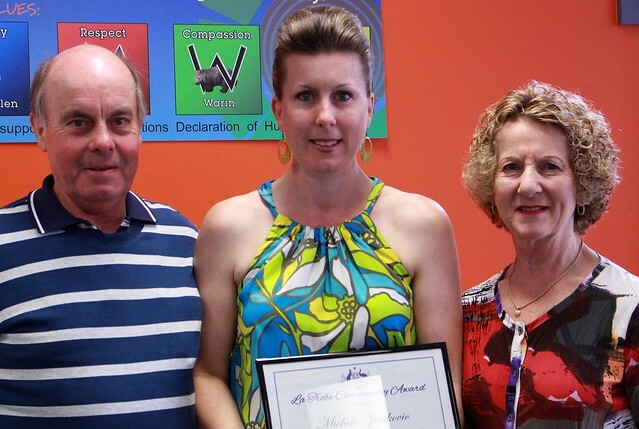 Michelle’s hard work and dedication for the disability community is very inspiring. 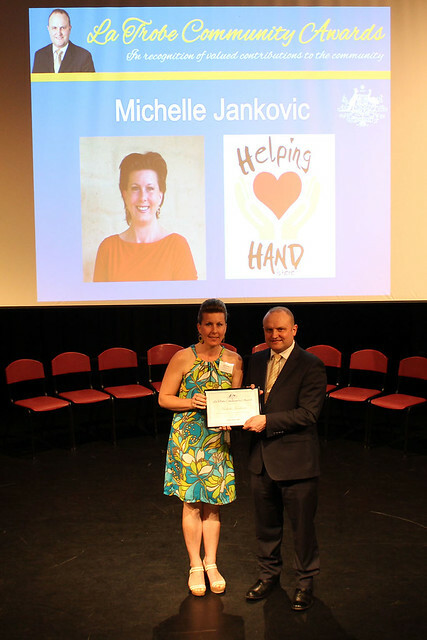 Michelle Jankovic was recognised for her dedication and valued service to the disability community through Helping Hand Is Here. Michelle volunteers much of her time as a City of Casey Access and Inclusion Advisory Committee member, ‘Livvi’s Place’ Casey Playspace Committee member and Touched by Olivia Casey Volunteer Team member. Michelle Jankovic and her family also volunteer supporting The Royal Children’s Good Friday Appeal, The Murdoch Children’s Research Institute Step-A-Thon For Kids and Variety the Children’s Charity. 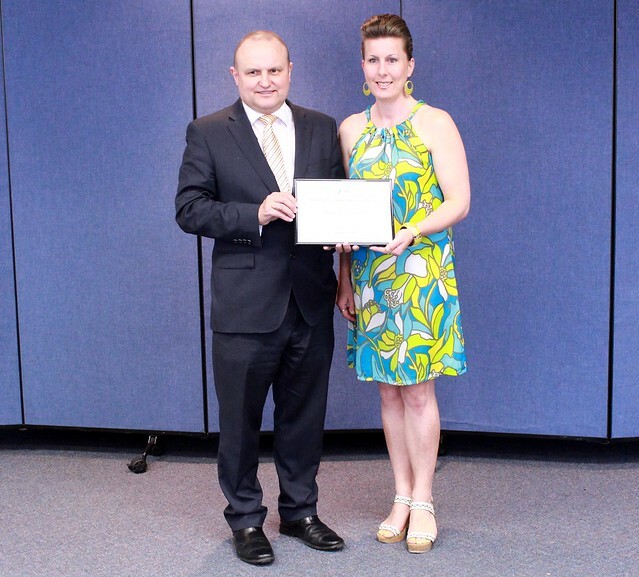 I nominated Michelle Jankovic for being an inspiring example of giving selflessly to others. Michelle uses her own challenging personal experiences to be a blessing in the lives of others travelling a similar path. Driven by her compassionate love for others (in wanting to soften the bumps in their own journey), Michelle created Helping Hand Is Here to make it easier for those living with disabilities to navigate through life’ challenges. I am truly thankful for this wonderful recognition. Every day I walk in the joy knowing I want to make a difference, I want to help an individual, I want to make someone else’s life a little easier from what I have lived and learnt through my experiences with disability. 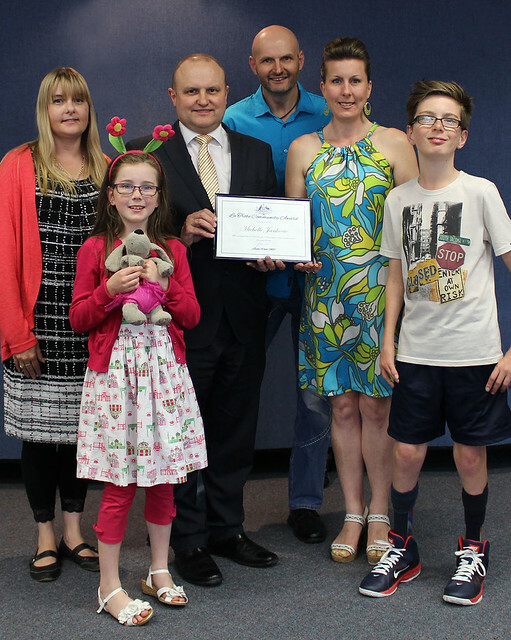 Celebrations continued after the award presentations with a lovely afternoon tea provided by Jason Wood MP as recipients, family and friends joined in the festivities.